Beechmont Players and director Jim Waldfogle will be holding auditions for Caroline Francke’s Father of the Bride, based on the novel that was the inspiration for the classic Spencer Tracy/Elizabeth Taylor movie of the 1950s, as well as the later Steve Martin/Diane Keaton film. When a father discovers that his daughter is no longer the pig-tailed kid in dungarees, hilarity ensures as what starts out as a “simple” wedding spirals out of control. Auditions will be held at Cherry Grove United Methodist Church, 1428 Eight Mile Rd., on the evenings of November 12 and 14 from 7:00-9:00 pm. Cold readings will be done from the script. Cast requirements include 7 adult males. 4 adult females, 3 young men and 2 young women (mid-teens to early 20s). Performances will be held at the Anderson Center, 7850 Five Mile Rd, Cincinnati, OH 45230, from February 15-23, 2019. Beechmont Players is thrilled to announce the cast for its December show: A Christmas Carol – A Live Radio Play! This holiday favorite comes to life as a 1940’s radio broadcast, with sound effects, background music, and vintage advertisements. 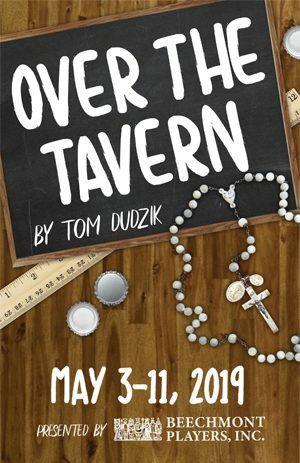 Come see the talented Jay Gossett, Laura Gossett, Jody Hart, Mark Metzner, Patricia Mullins, Ryan Oelker, Steve Phelan, Amy Sullivan, Kristen Vincenty and Jim Waldfogle bring these classic characters to life! And join us in ringing in the holiday season after the show with a Christmas song sing-along! 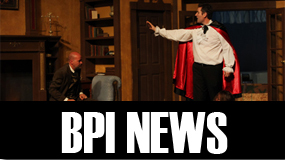 Beechmont Players Inc. (BPI) is looking forward to its fall production of the 2018-19 season, A Christmas Carol, A Live Radio Play. We are looking for 10 actors/actresses of various age ranges. Please come prepared to perform cold readings from the script, and provide a resume and headshot. Auditions will be held September 17 and 18 from 7pm-9pm at Cherry Grove United Methodist Church, 1428 8 Mile Rd, Cincinnati OH 45255. 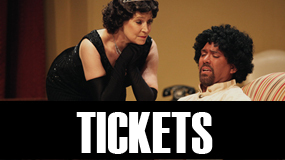 Performance dates are Dec 13, 14, and 15. A Christmas Carol, A Live Radio Play. will be directed by Jerry Wiesenhahn and produced by Cindy Rumke. Want to be involved behind the scenes? Contact the producer, Cindy Rumke, at cindyrumke2182 (at) gmail (dot) com to join the team!